The Other Israel Film Festival pass is good for five (5) general admission tickets based on availability. Special events & programs excluded. See a full list of films at otherisrael.org/films. Your pass is not a ticket and must be exchanged at the box office at least 30 minutes prior to show time. Pass does not guarantee admission, please reserve your tickets ahead of time, as screenings do sell out. 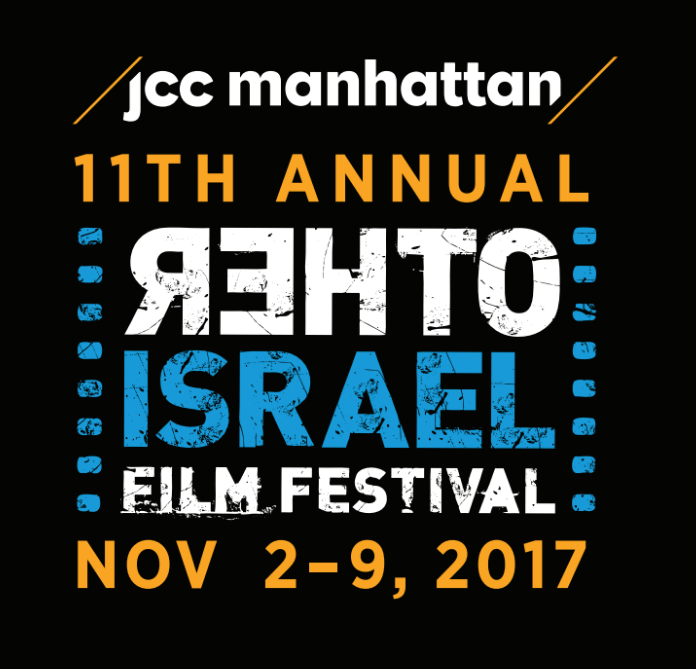 The JCC Manhattan box office can be reached at 646.505.5708. Two Palestinian women share an apartment in the vibrant heart of Tel Aviv. A stylish criminal lawyer with a wicked wit, Laila sheds her professional persona and releases any inhibitions in the city’s underground club scene. 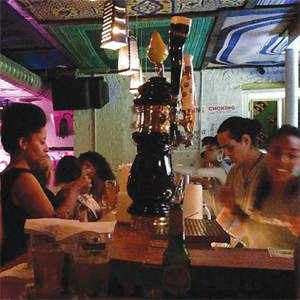 Her more subdued lesbian roommate Salma left her conservative Christian home and floats from job-to-job, working primarily as a bartender and DJ. 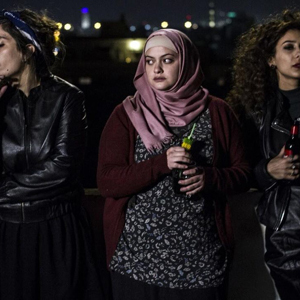 They are joined by Nur, a religious Muslim, who moves into the apartment while studying at the local university. Her fiance refuses to understand why she prefers to study and work over establishing their househome. Together, the roommates search for ways to live in the space in between their desired modern lifestyles and the pressures from their traditional communities. In Theaters Nov. 10. Screening followed by conversation and reception with filmmakers and special guests. 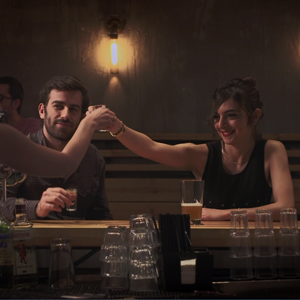 Join the New Israel Fund’s New Generations, JCC 20s + 30s, and other young leadership groups for Shabbat dinner, drinks, and short films, accompanied by an intimate conversation with guest filmmakers. 3 short films for 3 courses. Event nourished by One Table. Advance registration required. Drinks will take place in Goldman-Sonnenfeldt Family Auditorium at 6:30 then dinner will be served at 7 PM.  During dinner, three films from the Other Israel Film Festival will be shown. For specific dietary requests (vegan, gluten-free), please contact [email protected] by 10 AM on Wed, October 25th. Possessed by the spirit of his dead grandfather, an Israeli teacher questions his own identity. An Arab salsa dancer is in a relationship with a Jewish dancer. Together they attempt to perform in an Israeli settlement. 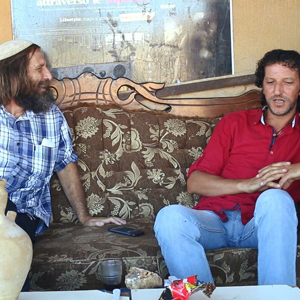 An unexpected encounter between a Palestinian hitchhiker and a Jewish settler offers life-changing lessons. Join us for a closing night celebration featuring a screening of Holy Air and the announcement of the winner of the Bob Simon Award. In Nazareth, Christian-Arab Adam suffers the failure of yet another entrepreneurial idea. He will soon become a first-time father, and his father has fallen gravely ill. Adam needs to catch a break, and finally one day he happens upon his blockbuster idea. With thousands of tourists coming to the childhood home of Jesus every year, Adam could sell them “Holy Air,” bottled fresh from the top of Mount Precipice. For a single Euro, tourists can buy a bottle filled with the very same air Mary breathed when the angel Gabriel announced she would give birth to the “Son of God.” Adam suddenly becomes so successful that he catches the attention of the local Jewish politicians, the Catholic Church, and the Muslim mafia, alike. Will success liberate Adam and allow him to support his family? Or will more money lead to more problems?